At the next Faith & Fun Friday (APR 5, 2019, at 6pm), we will look at Christ lifted up on the cross. It's a Good Friday theme (which major day of observance is also coming up on the 19th of April). This is the Day of Atonement, the most important day in the history of humankind, because on this day all our debt of sin was "paid in full" (John 19:30). Truly, something to be grateful for! Hope to see you! Pizza is on the house. Please RSVP for the pizza count. 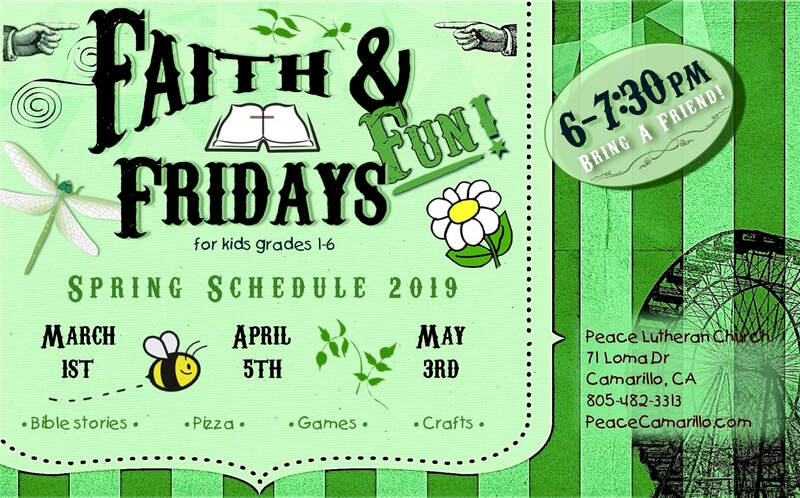 RSVP To Faith & Fun Friday!